Did you know that one out of three Australians have had their homes burgled? And that most of these acts were by petty thieves who saw an opportunity through an unlocked door or open window and figured they can get in and out quickly? Do you know that most breaking and entering incidents can be prevented by being security conscious at all times? Well, if you didn’t, you do now. You see, most Australians should neither experience their homes burgled nor the psychological, emotional trauma of feeling unsafe after these incidents. With appropriate preventive measures, they can carry out appropriate security and protection tips. Be proactive in securing and protecting your home, property and loved ones; not reactive afterwards. Here are some of the best home security tips to help you do a fantastic job of securing your home. Though most homeowners haven’t heard or thought about this, you’ll be amazed at how they can deter or discourage burglars. Most burglars will run for cover after this or get away from the home. Get out before you get back. Most homeowners assume they would be back before anything happens. Wrong. Now that you know how long it takes burglars to get in and out, 10 minutes is at least 5 minutes too late to come back and catch the perpetrator. Be a slight obstacle at best. That’s why you should upgrade your locks. Speak to a seasoned residential locksmith about this option for your doors and windows if you live in or around Elwood and Melbourne. They’ll recommend a number of extremely effective options that you can choose from. This is important if you have a glass door or a door with glass close to the locks or handles. Even when you lock your doors, burglars can easily break the door’s glass part to reach in and open the doors from the inside. 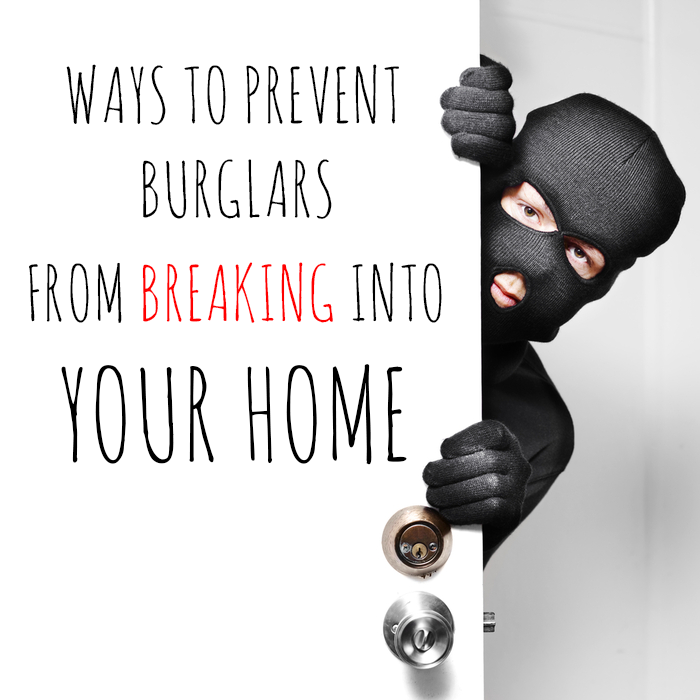 Prevent break-ins through that part of the house. With these metal bars on your doors and windows, there’s an almost 100% chance burglars won’t even bother breaking into your home. These bars effectively discourage any burglar to break in and get away with your valuables. You probably love those trees and take great pride in your lawn, shrubbery and landscape. We won’t suggest you get rid of these, but consider trimming overgrown bushes surrounding your property and home. Be the perfect hiding place for a thief and burglar. Provide access for burglars who can easily get into the home through their branches. So, if you cannot trim or prune them for your security, you can get rid of them completely. The truth is an “exposed” house doesn’t appeal to burglars. A silent alarm that’s triggered as soon as someone breaches your home perimeter. The silent alarm is particularly effective if you want to catch the thief. But then, its success largely depends on the security company’s or police response time. With late responses, a thief can get away before they arrive. With a CCTV however, you may view the thief’s face and even the things he stole. The police can still catch the thief. During attempted break-ins, burglars typically try windows or doors which are visible to homeowners. That’s why you need to shore up your home’s defenses. Shutters or grilles on your windows. These are sure to deter and keep them away. For a reputable and highly professional residential locksmith in Elwood, Melbourne, get in touch with Solid Lock Locksmith at www.solidlocklockmith.com.au or call now on 0401073756. You can also send an email with your enquiries and questions to terry@solidlocklocksmith.com.au.